The National Aquarium houses several exhibits including an Upland Tropical Rain Forest, a multiple-story Atlantic Coral Reef, an open ocean shark tank, Australia: Wild Extremes, a 4D Immersion Theater and more! 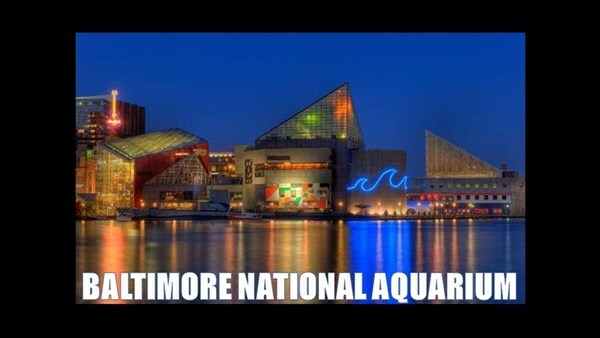 An underwater world of beautiful and unusual animals and habitats awaits Gunther Tours at the National Aquarium, located in the heart of Baltimores Inner Harbor. 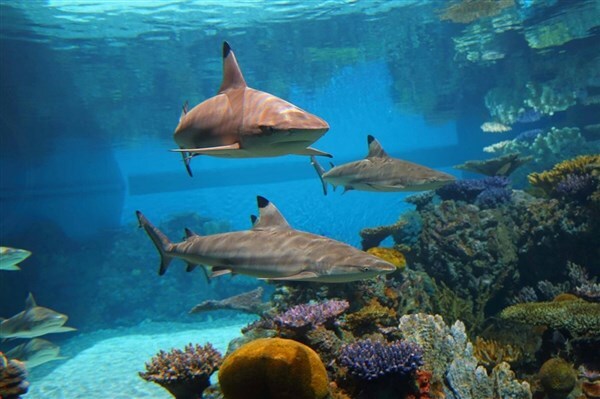 The National Aquarium houses several exhibits including an Upland Tropical Rain Forest, a multiple-story Atlantic Coral Reef, an open ocean shark tank, Australia: Wild Extremes, a 4D Immersion Theater and more! So, with close to 20,000 animals, discover something new and create your own adventure among the amphibians, birds, fish, mammals, reptiles and invertebrates. Explore a tropical rain forest, descend through an Atlantic coral reef, view dolphins and sharks, travel to an Australian river gorge, and interact with animal experts  admission includes all this and so much, much more! We spend 5-hours at the National Aquarium. Enjoy a box lunch in the Aquariums Harbor View Room while gaining an insiders knowledge of the fascinating animals with a presentation from one of the aquariums animal experts. Please provide a meal choice when making your reservations. Your choices are Turkey & Cheese Sandwich, Ham & Cheese Sandwich or Chicken Caesar Salad. 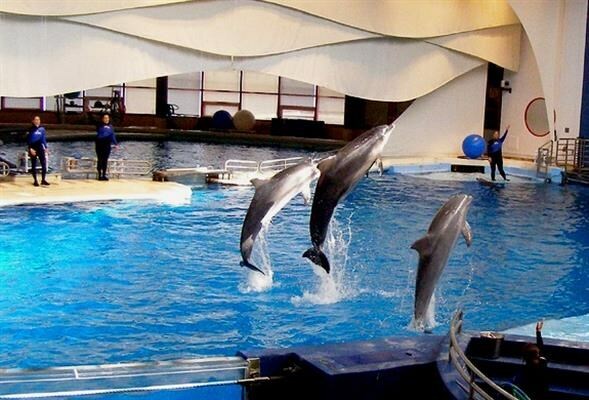 An underwater world of beautiful and unusual animals and habitats awaits Gunther Tours at the National Aquarium, located in the heart of Baltimore's Inner Harbor. The National Aquarium houses several exhibits including an Upland Tropical Rain Forest, a multiple-story Atlantic Coral Reef, an open ocean shark tank, Australia: Wild Extremes, a 4D Immersion Theater and more! So, with close to 20,000 animals, discover something new and create your own adventure among the amphibians, birds, fish, mammals, reptiles and invertebrates. Explore a tropical rain forest, descend through an Atlantic coral reef, view dolphins and sharks, travel to an Australian river gorge, and interact with animal experts - admission includes all this and so much, much more! We spend 5-hours at the National Aquarium. Enjoy a box lunch in the Aquarium's Harbor View Room while gaining an insider's knowledge of the fascinating animals with a presentation from one of the aquariums animal experts. Please provide a meal choice when making your reservations. Your choices are Turkey & Cheese Sandwich, Ham & Cheese Sandwich or Chicken Caesar Salad.